Make yourself at home in one of the 80 air-conditioned rooms featuring minibars and flat-screen televisions. Satellite television is provided for your entertainment. Private bathrooms with showers feature complimentary toiletries and bidets. Conveniences include safes and desks, and housekeeping is provided daily. Make yourself at home in one of the 15 air-conditioned rooms featuring LCD televisions. Rooms have private balconies. Bathrooms have showers and hair dryers. Conveniences include phones, as well as safes and desks. 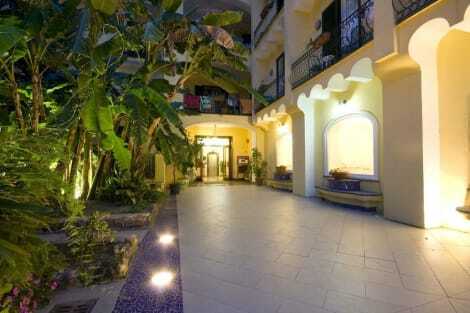 Family Spa Hotel Le Canne is in a quiet area, a 5-minute walk from Chiaia and San Francesco beaches. It offers a wellness centre, and free parking and Wi-Fi access. Air-conditioned rooms feature a TV and en suite bathroom. The hotel provides full facilities for babies and older children. Extensive gardens, and indoor and outdoor pools are available on site, as are a mini club and cycling services. The wellness centre has beauty treatments, massages, a sauna, a thermal pool and a variety of baths. Hotel Le Canne Family Spa's restaurant serves Neapolitan specialities and regional cuisine. Breakfast is served buffet style indoors or outdoors on the terrace. Public buses stop outside the property and connect to every major attraction in Ischia, including the city centres of Forio and Ischia Porto and the La Mortella Gardens. Staff can arrange transfers as well as bus and boat tours. Immersed in greenery and offering a tranquil position in Forio D'Ischia centre, Albergo Villa Hibiscus features an indoor and an outdoor pool. It includes a restaurant and free parking. Free WiFi is available throughout. Stay in one of 61 guestrooms featuring flat-screen televisions. Rooms have private balconies. Complimentary wireless Internet access is available to keep you connected. Private bathrooms have bidets and hair dryers. With a stay at Hotel Regina Palace Terme, you'll be centrally located in Ischia, within a 10-minute drive of Aragonese Castle and Via Vittoria Colonna. 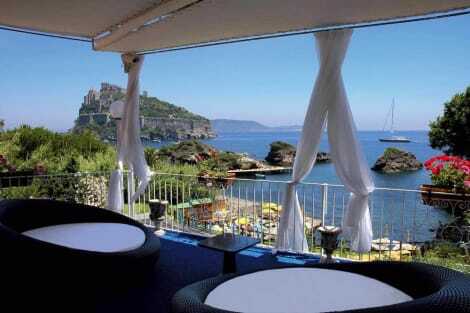 This 4-star hotel is 1.8 mi (2.8 km) from Ischia Port and 8.5 mi (13.6 km) from Poseidon Thermal Gardens. With a stay at Hotel Le Querce Thermae & Spa in Ischia (Ischia Porto), you'll be within a 15-minute drive of Aragonese Castle and Castiglione Thermal Park. 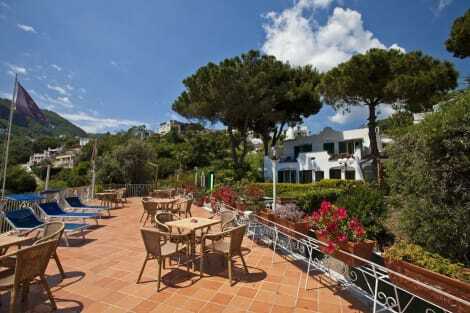 This 4-star hotel is 0.9 mi (1.5 km) from Ischia Port and 6.5 mi (10.5 km) from Poseidon Thermal Gardens. 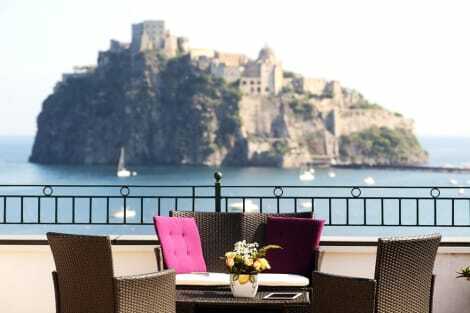 lastminute.com has a fantastic range of hotels in Ischia, with everything from cheap hotels to luxurious five star accommodation available. 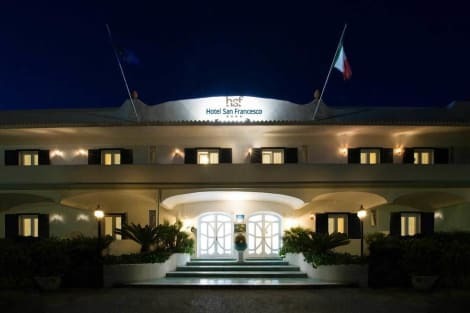 We like to live up to our last minute name so remember you can book any one of our excellent Ischia hotels up until midnight and stay the same night.